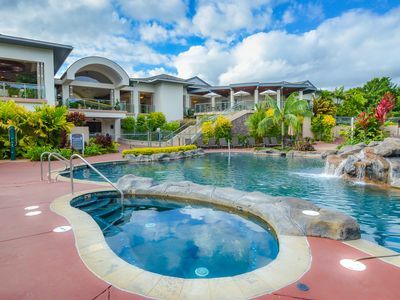 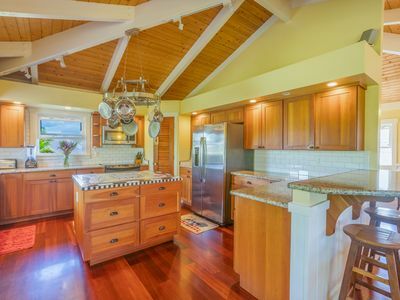 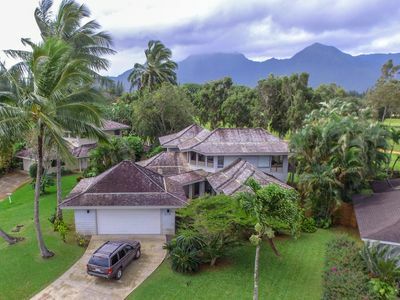 Have the tropical getaway of a lifetime and stay at this updated 2-bedroom, 3-bath vacation rental condo, ideally located in the heart of Princeville on Kauai’s famous North Coast. 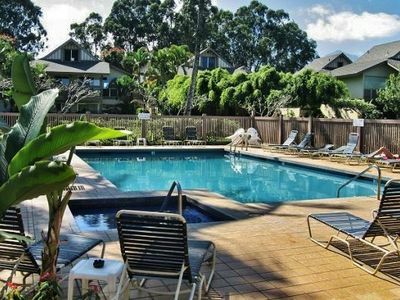 This condo sleeps 6 and offers access to the community pool near the barbecue areas. 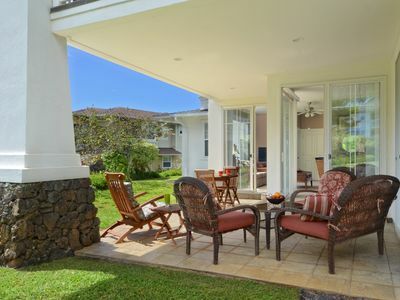 Lounge in the sun at Hideaway Beach just 1.5 miles away from this condo! 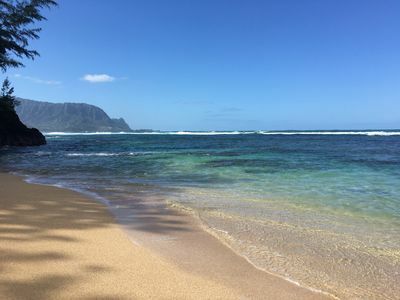 Try out a new beach spot with a visit to Puu Poa Beach near Fort Alexander. 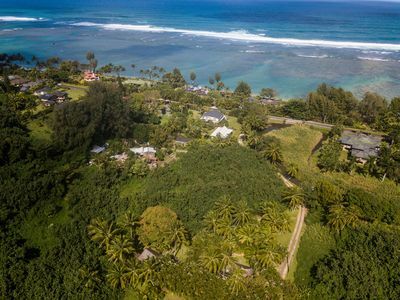 Makai Golf Club and Princeville Golf Course are sure to delight golfers in the group! 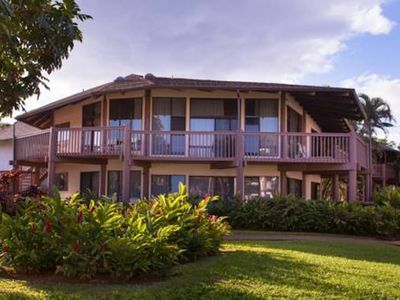 The property is uniquely laid out as 2 adjoining apartments, making it ideal for 2 groups ready to enjoy a lovely Hawaiian paradise. 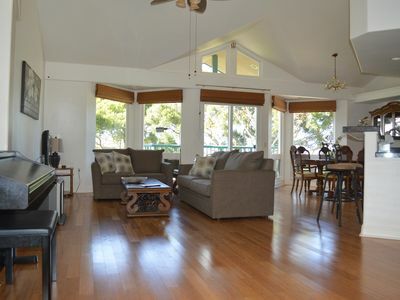 After a day at the beach, relax with loved ones in the main living area. 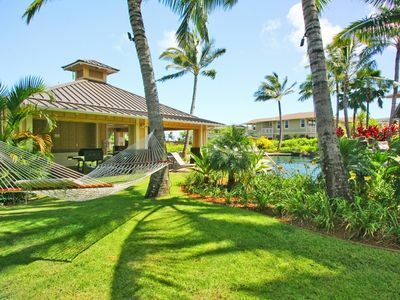 Choose to continue outdoor relaxation when you unwind on the lanai accessible from the living room and master bedroom. 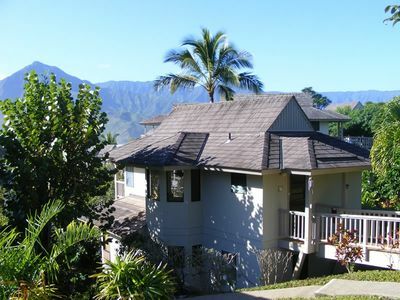 You’re sure to enjoy the views of Princeville’s 4 pristine golf courses! 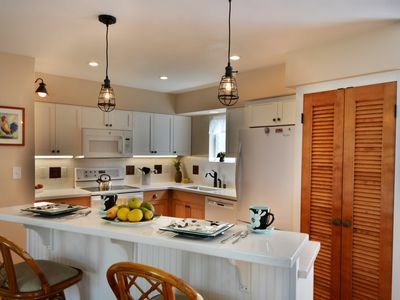 The designated chef will be able to cook up a fresh feast with ease in the fully equipped kitchen. 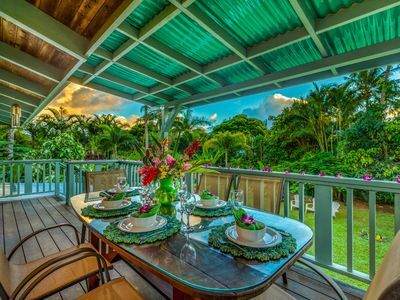 Serve meals at the dining table as you discuss the next day’s island agenda. 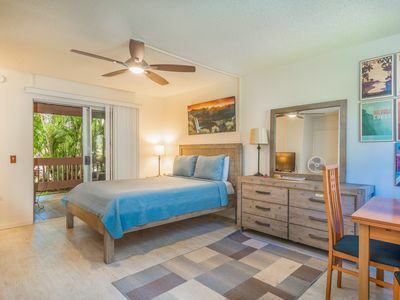 When it’s time for necessary shut-eye, make your way to one of the 2 bedrooms - each complete with a king bed and a private en-suite bathroom. 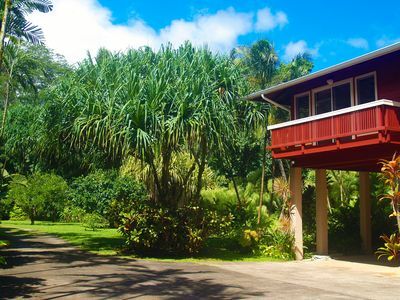 The loft provides accommodations for 2 travelers on the 2 twin beds. 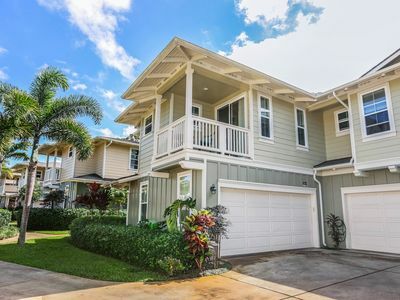 Thanks to this condo’s fantastic central location, everyone will be able to enjoy a pleasant walk less than 1 mile to Sealodge Beach, Hideaways Beach, or Puu Poa Beach. 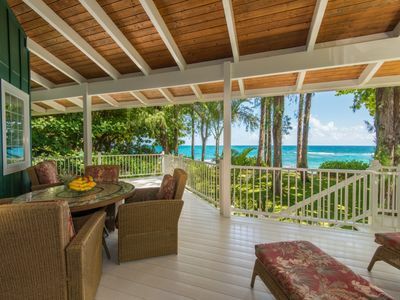 Lounge in the sun with a new book or participate in the seasonal sand castle building contest! 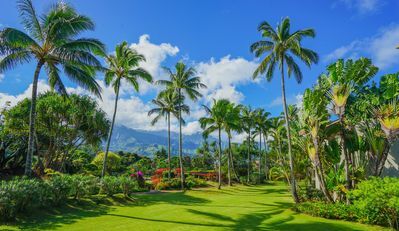 The attractions at the nearby Westin Hotel, St. Regis Hotel, and the Shops at Princeville are also within walking distance, so you won’t have to venture far for a good selection of shopping and dining opportunities. 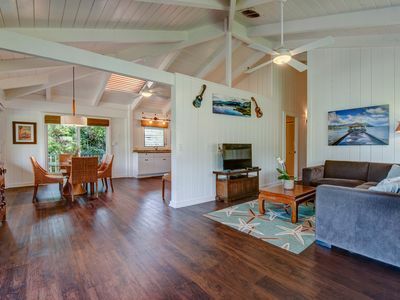 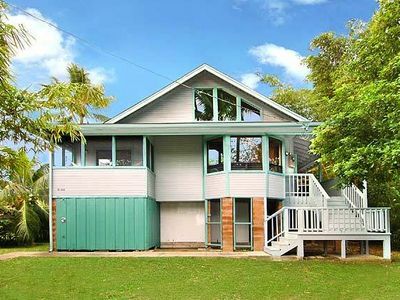 For an epic view of a Pacific sunset, make your way to Hanalei Pier 10 minutes from this condo. 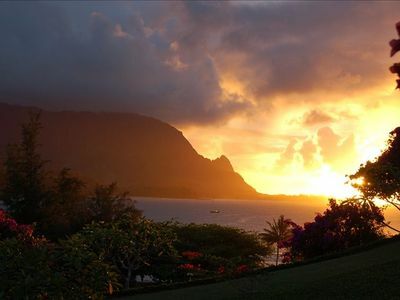 Walk the pier after indulging in a tasty dinner at Pat’s Taqueria!